I have an intense love of home decor and interior design. Even though my husband and I I live in a rented apartment where we really can’t paint the walls, change the carpet or the kitchen layout, we try our best to make it as cozy and elegant looking a place as we can within our means. This involves some DIY’ing and that’s what makes it even more fun! Today, I’m going to talk about a simple little decorative wreath I made to kick off our DIY section :-). Lately, I’ve been trying to think of a way to make a decorative wreath that I could re-use throughout the year by just changing out little details here and there. I came up with a very simple wreath that I can hopefully expand upon as time goes by. It was inexpensive, as I managed to collect several JoAnn Fabrics coupons I got in the mail and online. Also, since JoAnn accepts Hobby Lobby and Michaels coupons, I had one of each with me when I made the purchase. Some of the items I have here were on sale for 50% off (i.e. 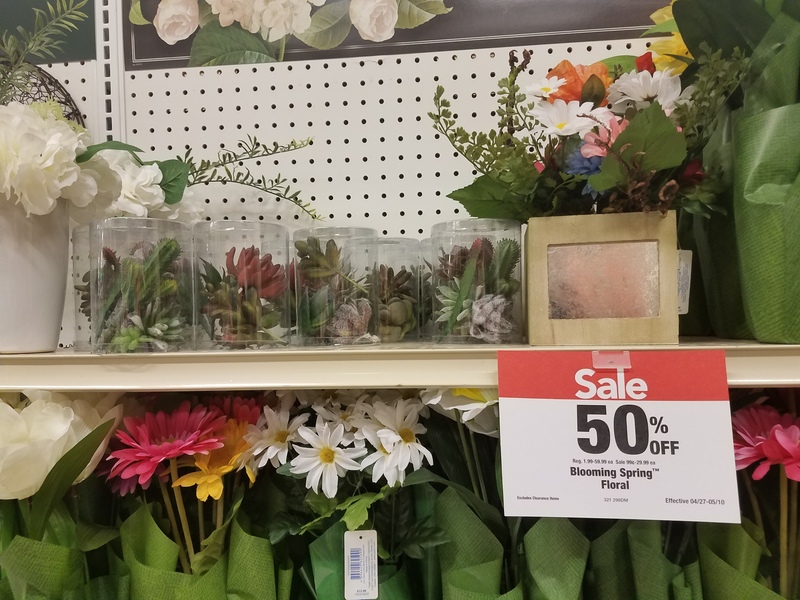 the succulents and styrofoam wreath) and everything else was under $6.00 with the coupons I had. 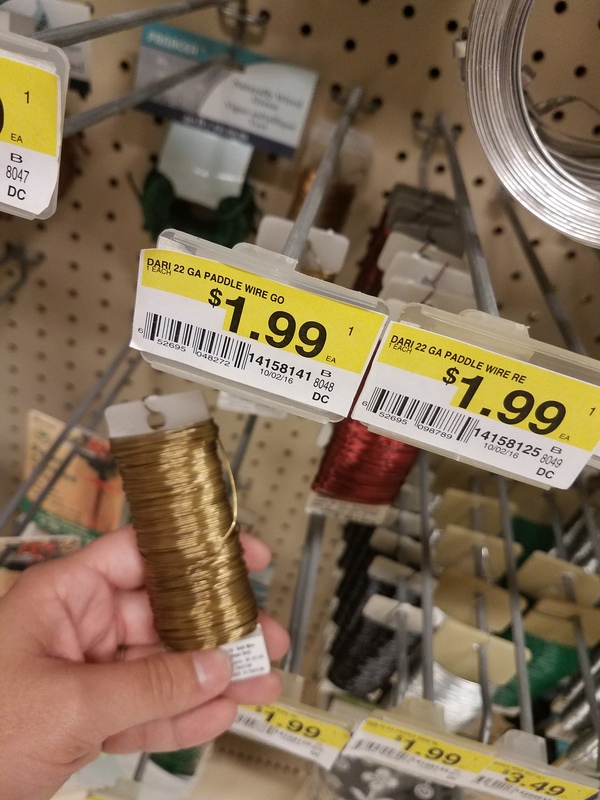 For the items on sale, the coupons were then applied on top of the sale price. Woohoo! The total I spent for these materials was $12.24, and I will be able to reuse them in other projects. Score! Making this wreath takes very little time, once you have collected all your materials. 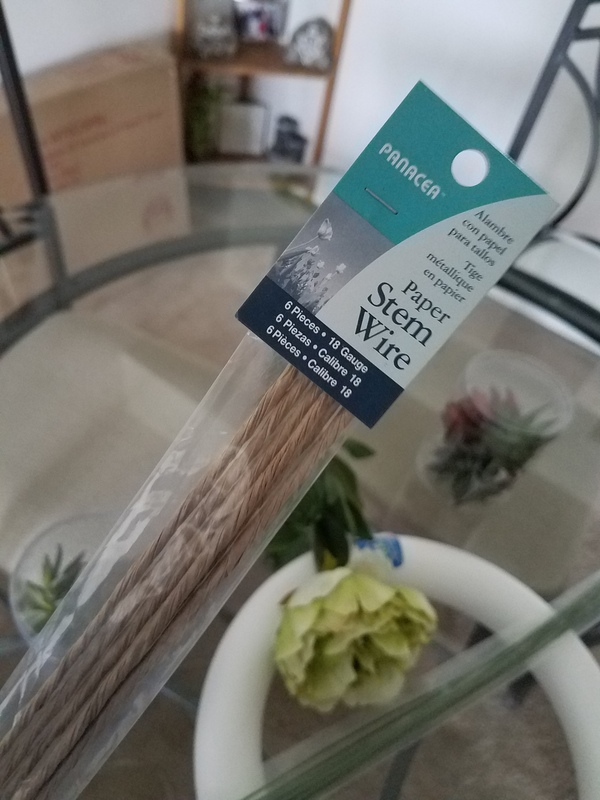 First, take out one of the paper stem wires (I got the brown paper one) and bend it in half, tying the end with a little bit of flexible wire to keep it together. The paper stem wire is where you will put your flowers and succulents, holding them together with flexible wire. This part will be removable from the wreath, so you can exchange it later on with other types of flowers or arrangements. Bend it to follow the shape of the styrofom wreath. 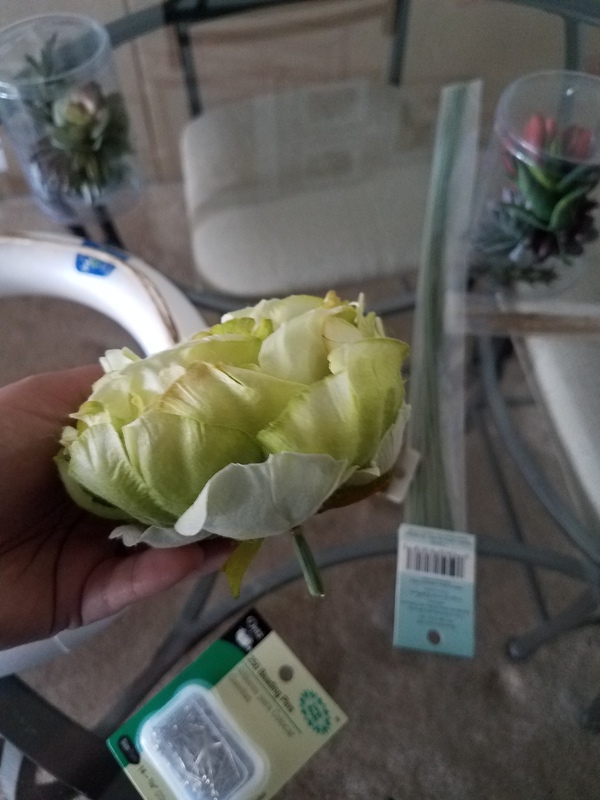 Next cut the stem off the flower you are using, or just remove it from it if it is not glued to the stem. 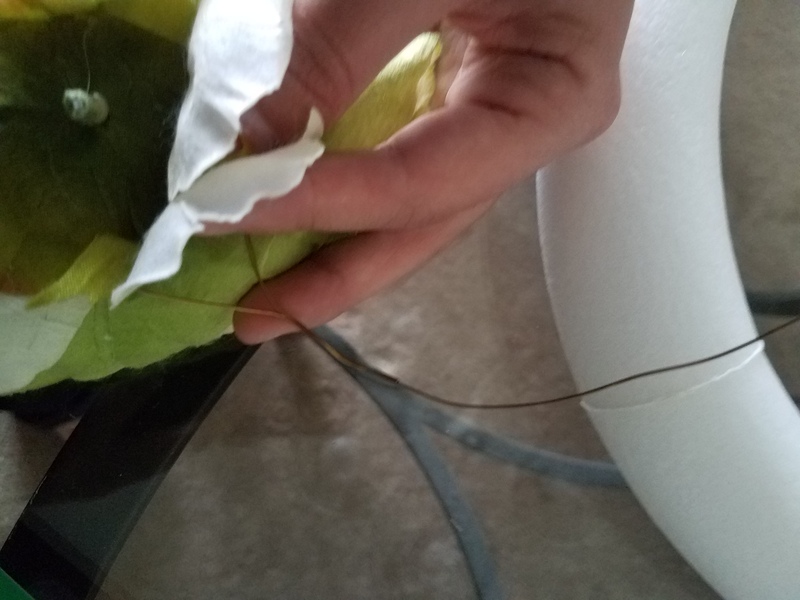 Gently wrap some of the flexible wire together between the petals, to get the flower to stay in place, and leaving some extra so you can also wrap it around the paper stem wire. 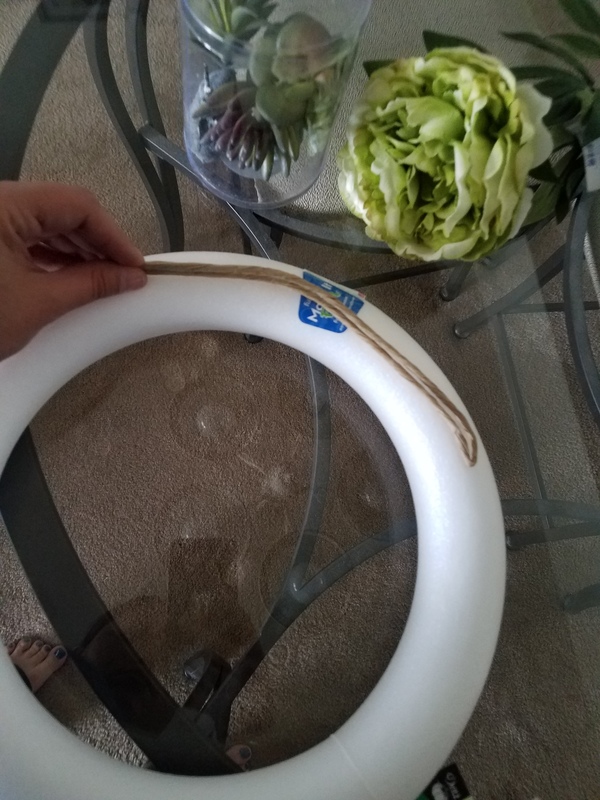 Make sure you do this in between the petals that are closer to the plastic stem connector, so as to hide the wire better. Take your succulent mix out, and pick the ones you want to go on the wreath. 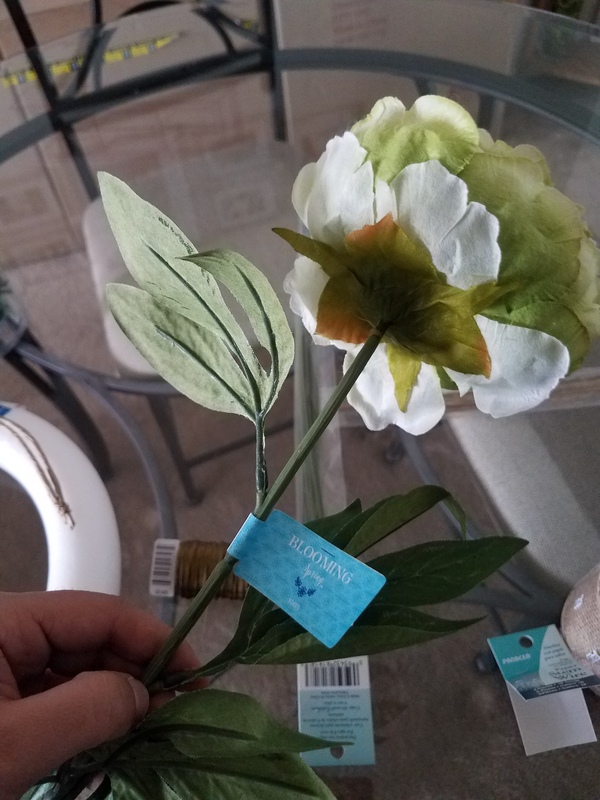 Wrap flexible wire around them the same way you did for the flower. 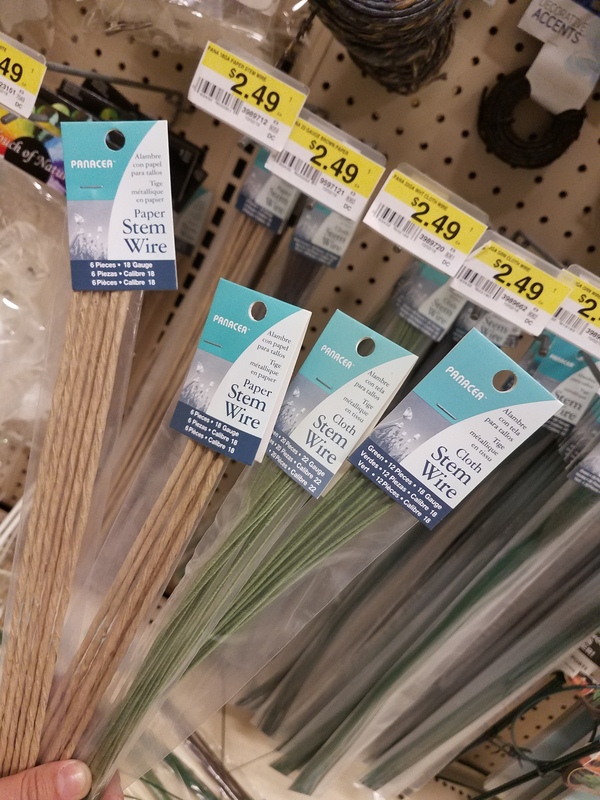 Wrap them in between the paper stem wire. 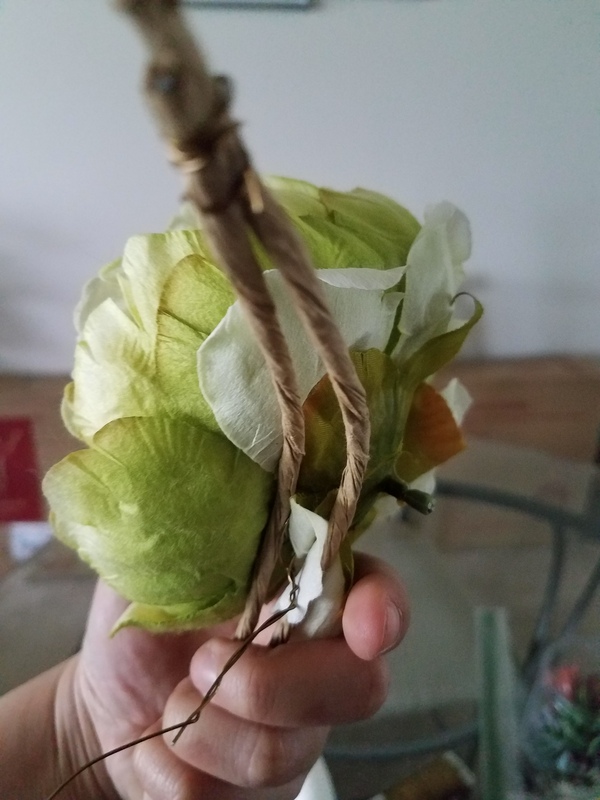 Once you have your flower-and-succulent-wrapped paper stem wire done, set it aside. 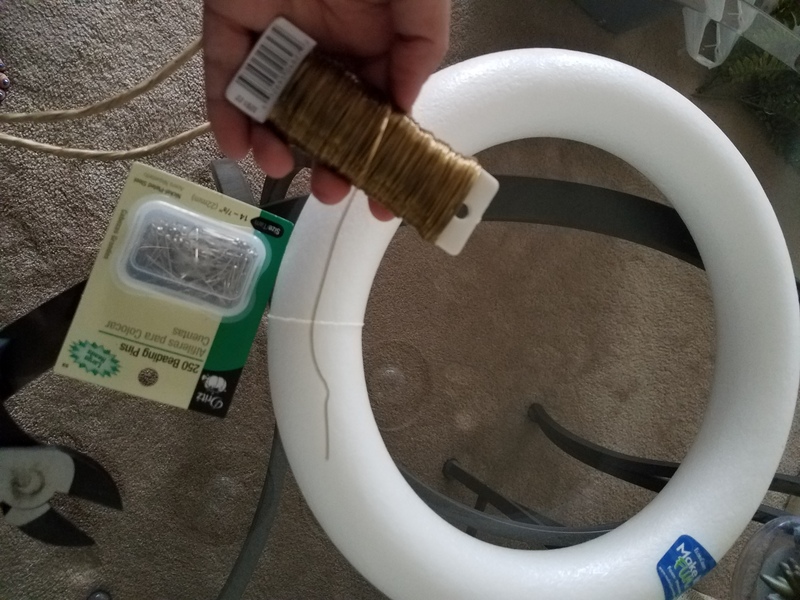 You can then proceed to wrap the burlap around the styrofoam wreath. You can secure the burlap on the foam with pins, which will also make it removable. That way, you can re-use your wreath in future decorations with different themes. 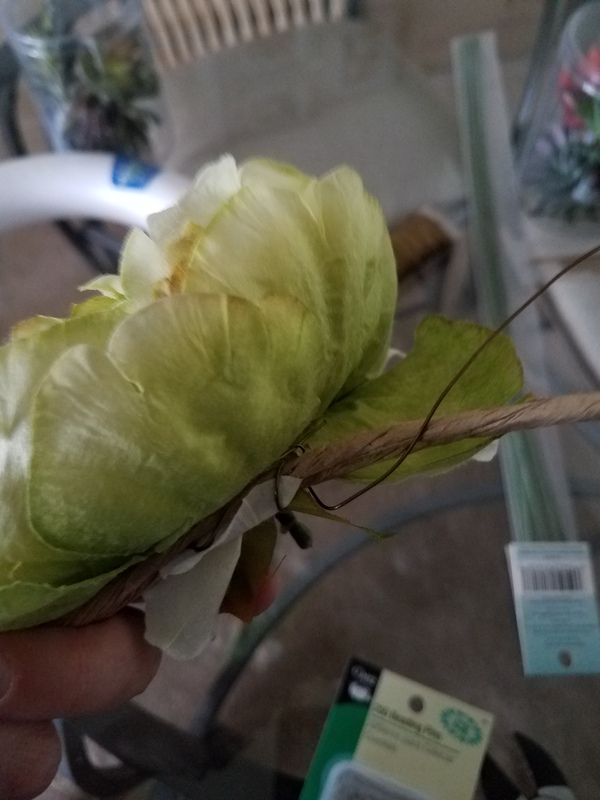 Once you are done wrapping the burlap around, you can secure your flower and succulents on the wreath using flexible wire. You are now done and ready to show off your wreath! This is such a fun and easy decoration to make! Hope you enjoyed this DIY tidbit and find it useful for making your own.